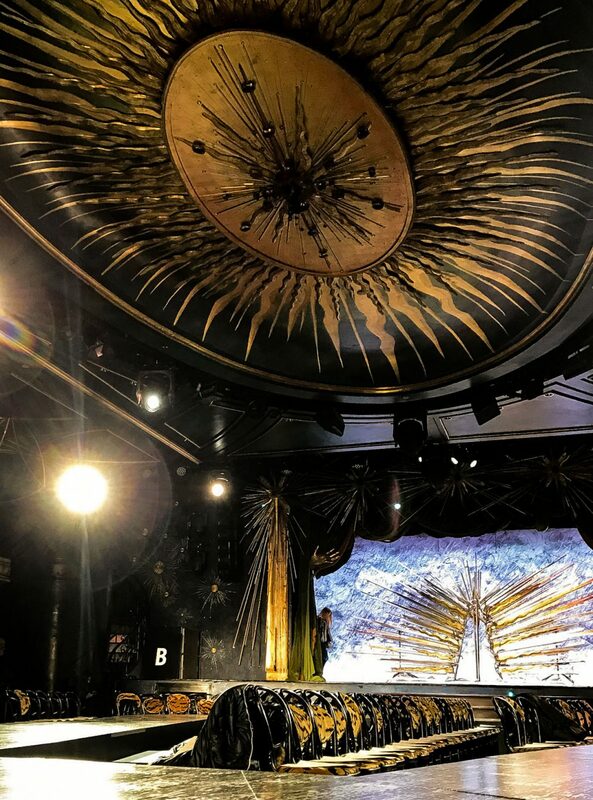 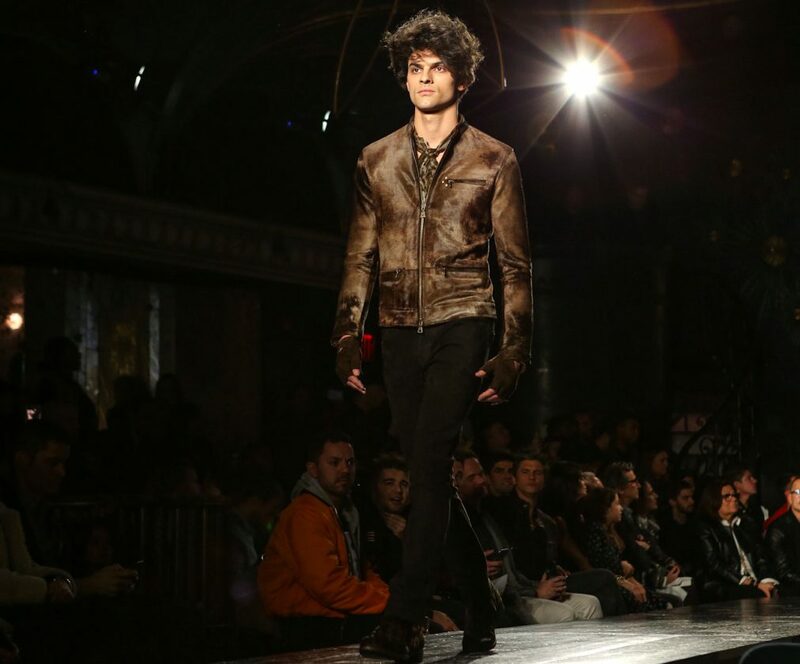 There’s no mistaking John Varvatos’s aesthetic, and it came through clearly as soon as guests entered the Diamond Horseshoe, a nightspot near Times Square that has an appropriately louche and decadent feeling, starting with the crashed chandelier sitting at the bottom of the entry staircase. 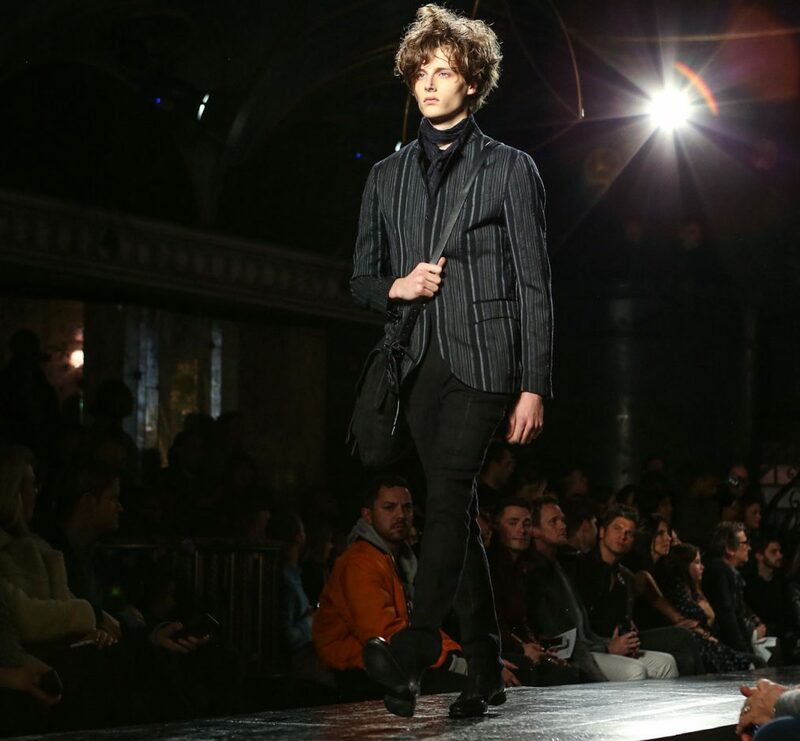 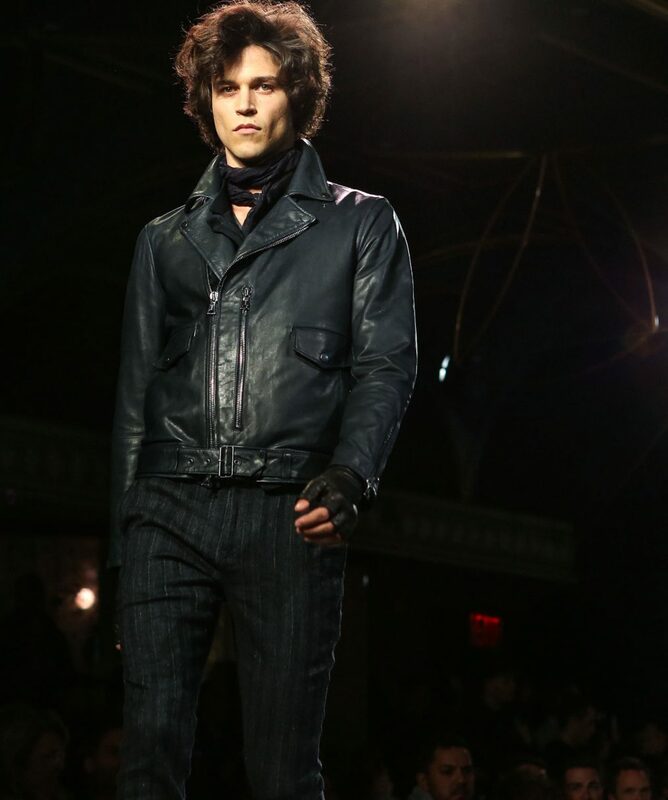 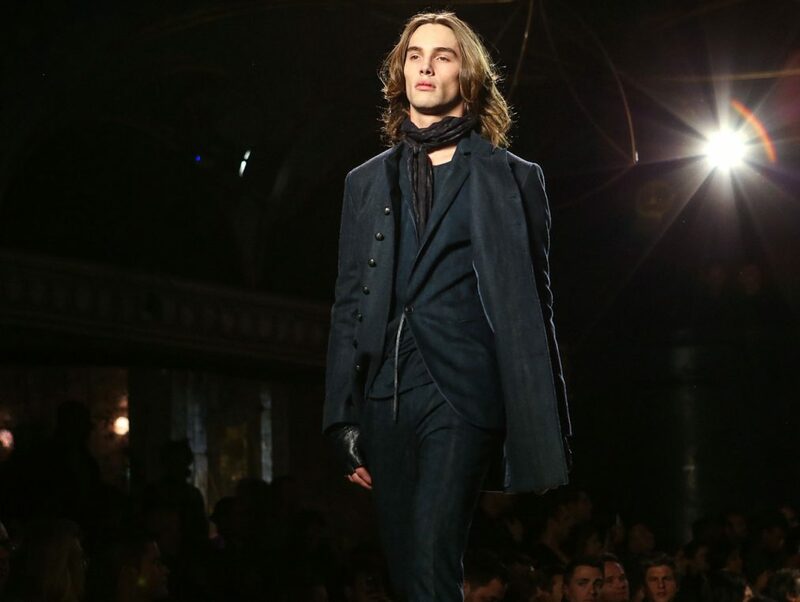 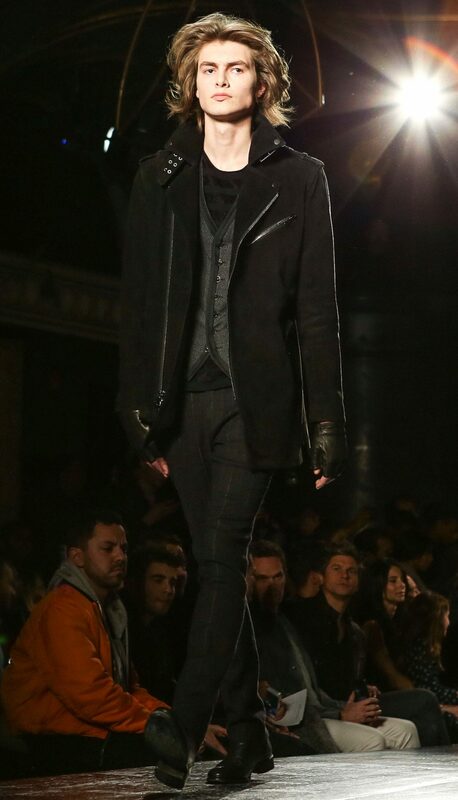 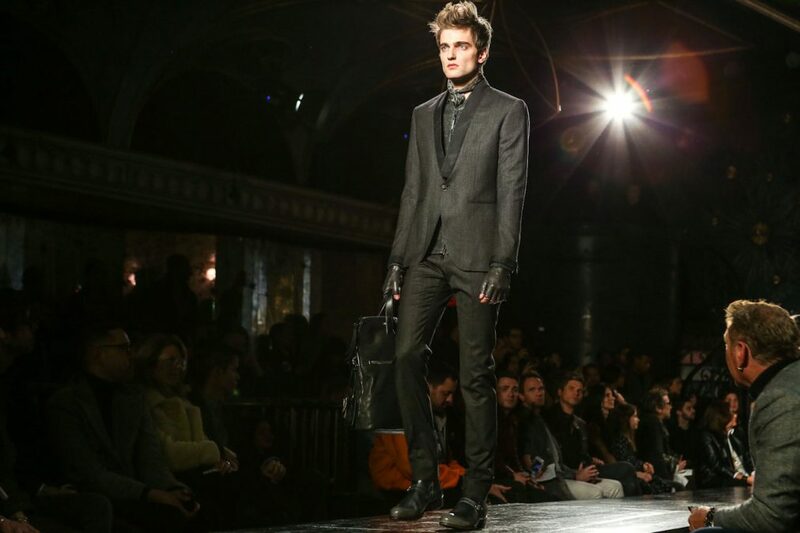 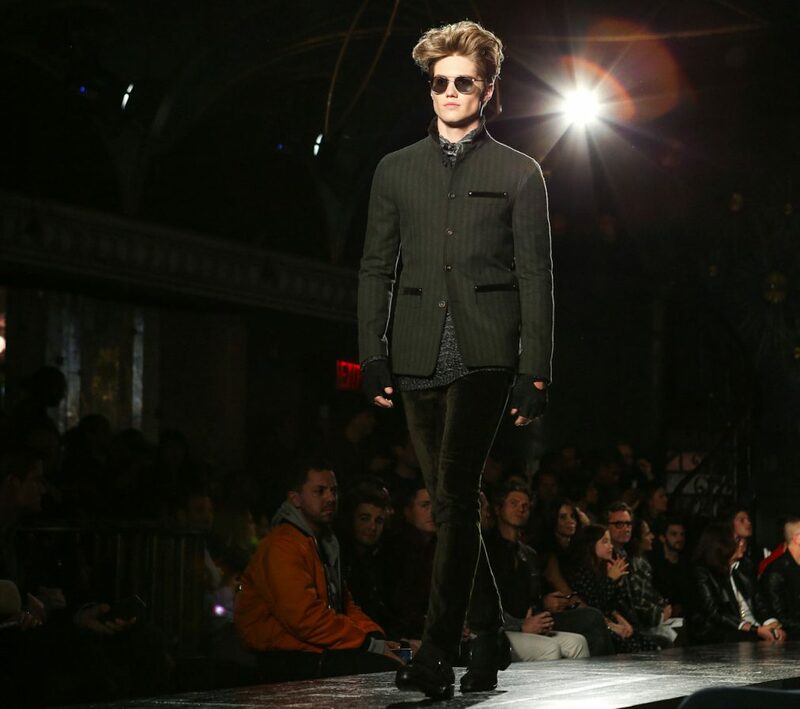 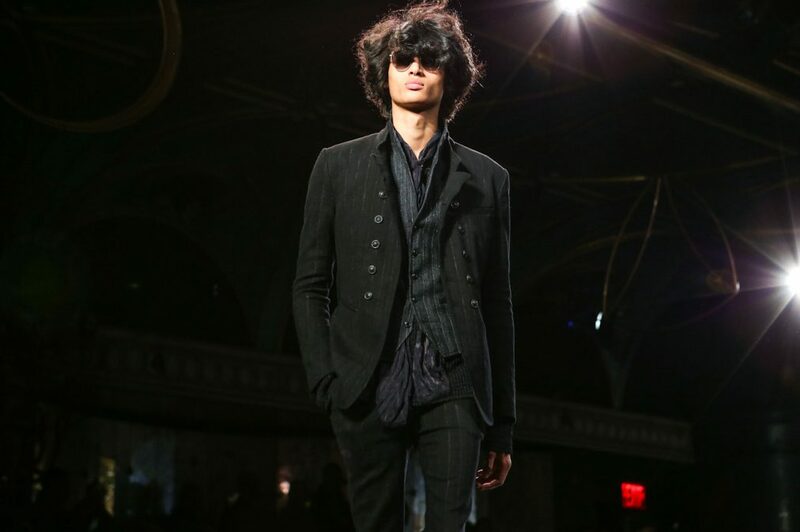 For his Fall 2017 collection, titled “Wild at Heart,” Varvatos touched on his classic rocker themes, with skinny jeans, skinny scarves, and the Killers on the soundtrack. 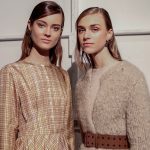 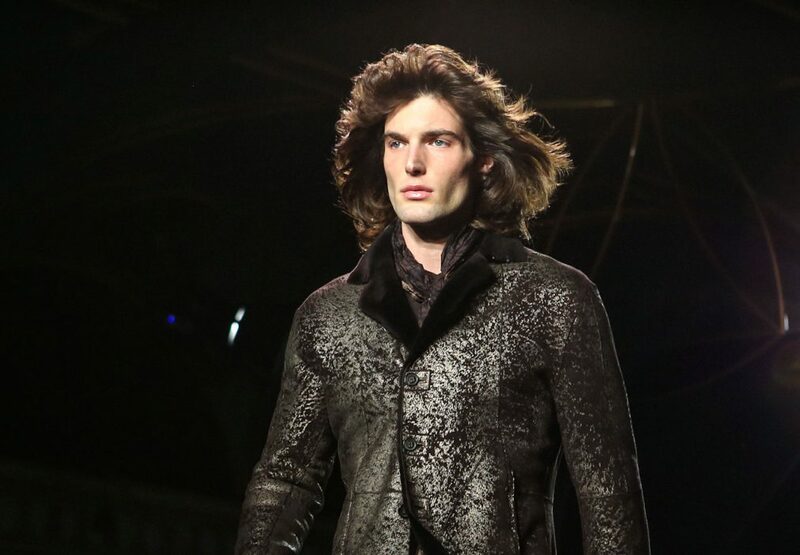 Their hair tousled into veritable manes, the models stomped along the circular runway through the space with a rebellious edge and a sense of elegance. 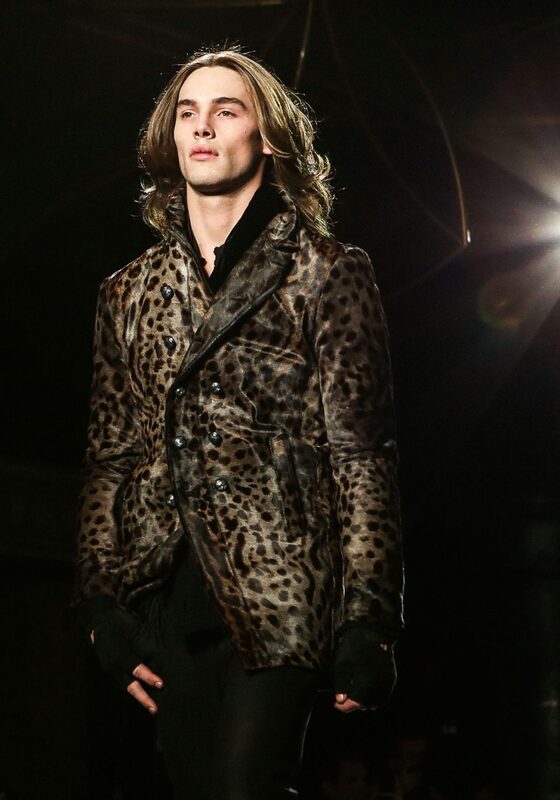 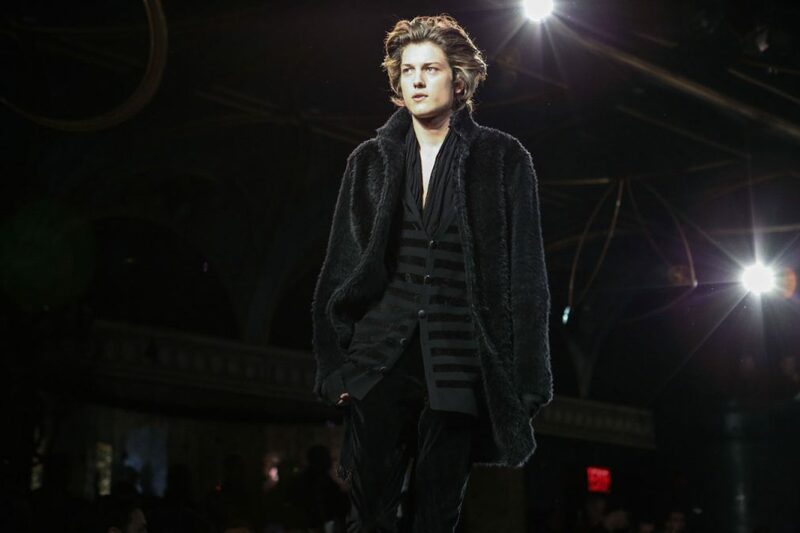 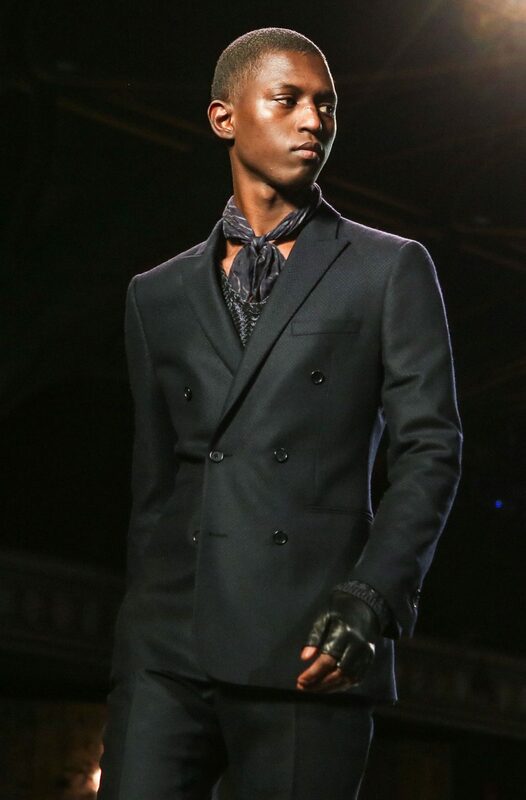 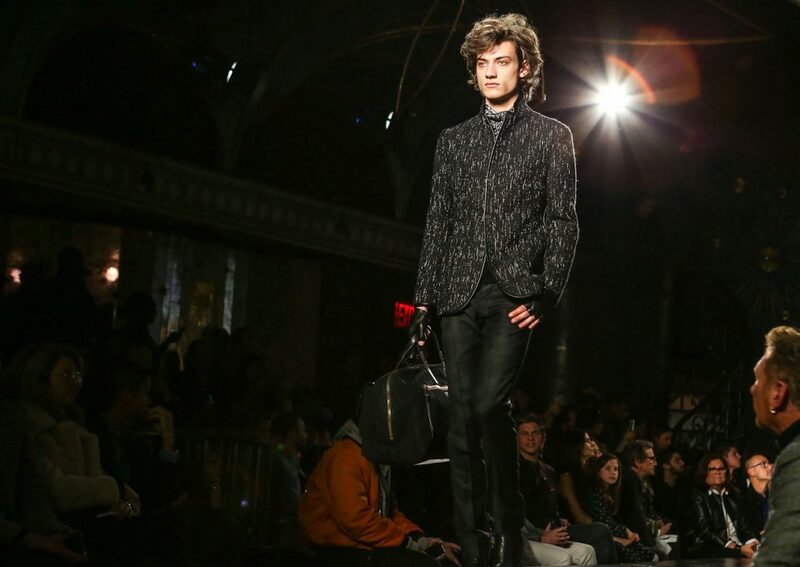 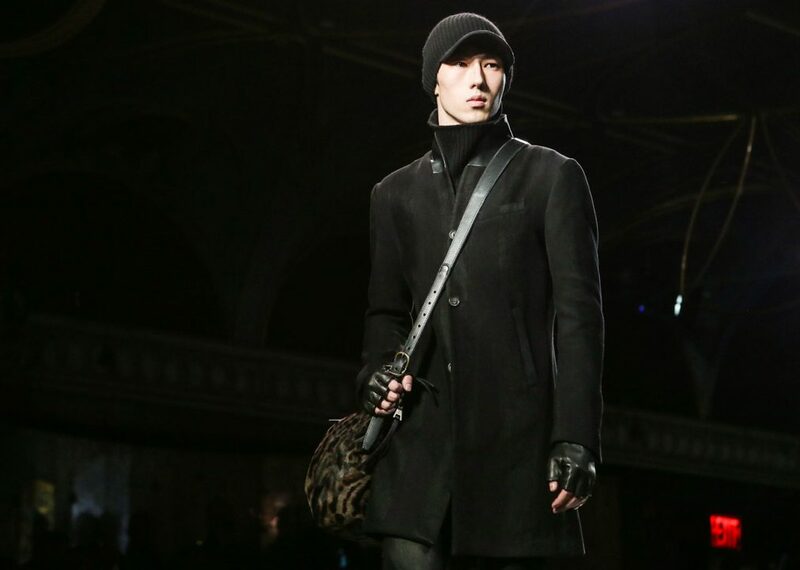 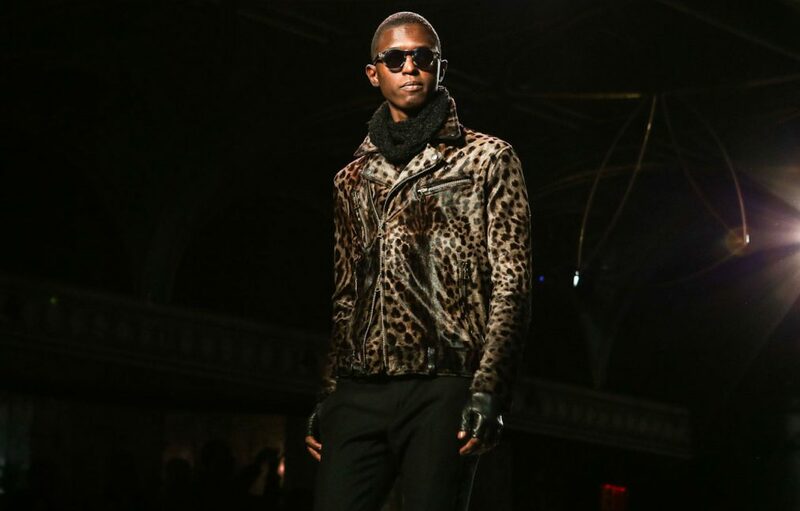 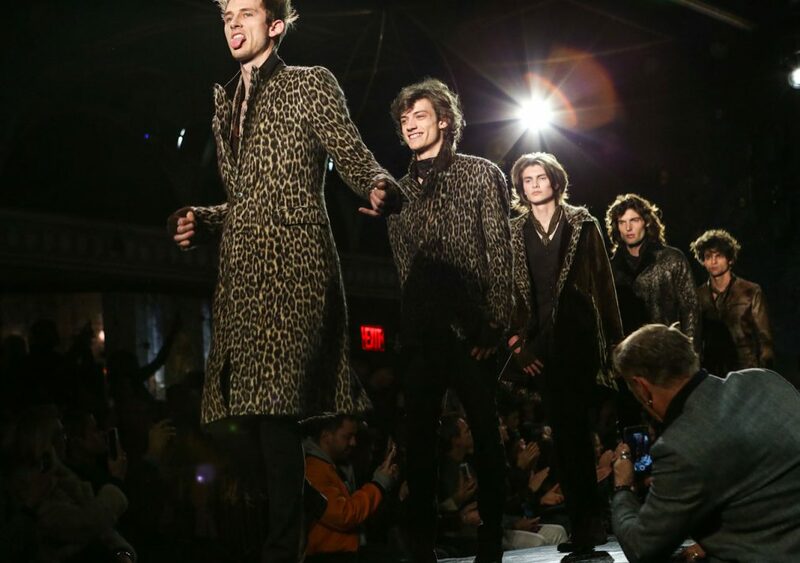 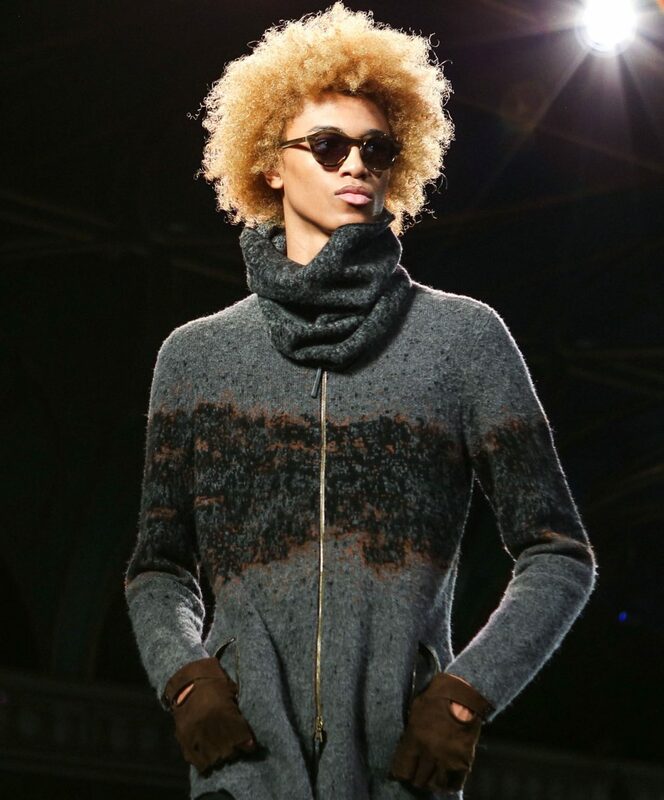 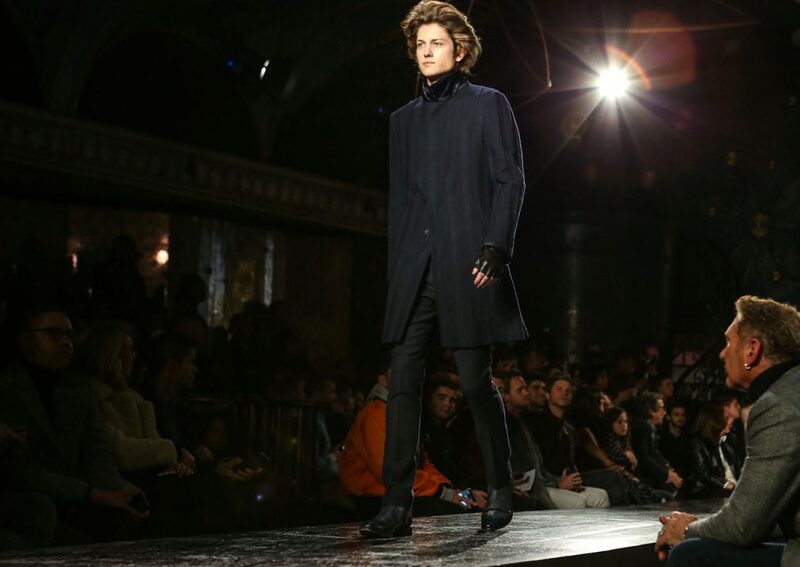 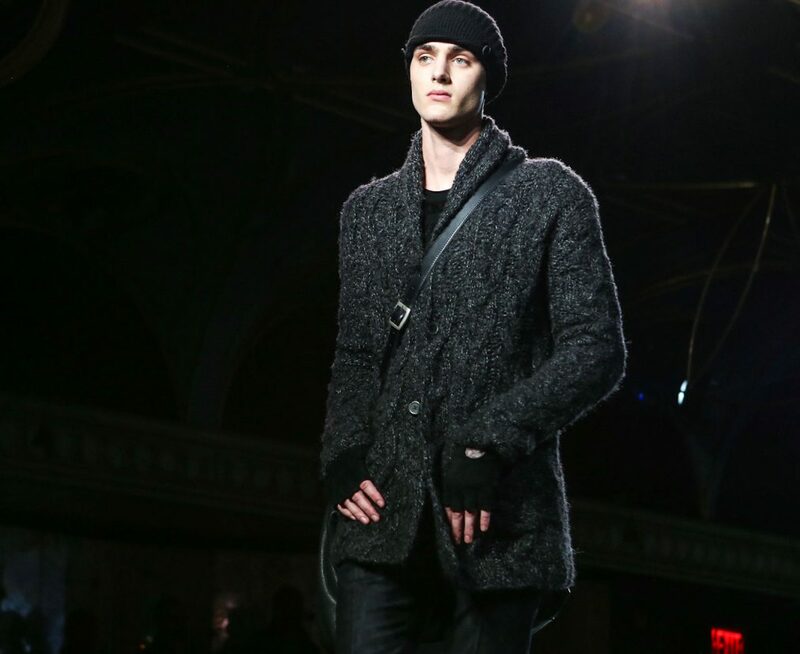 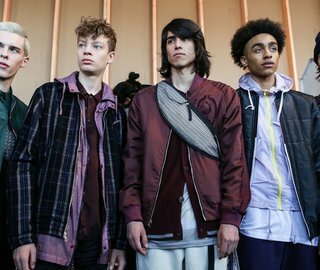 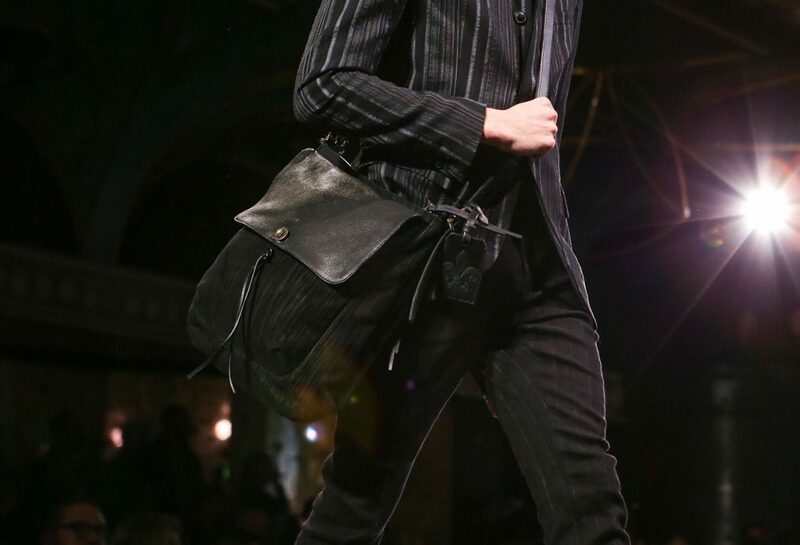 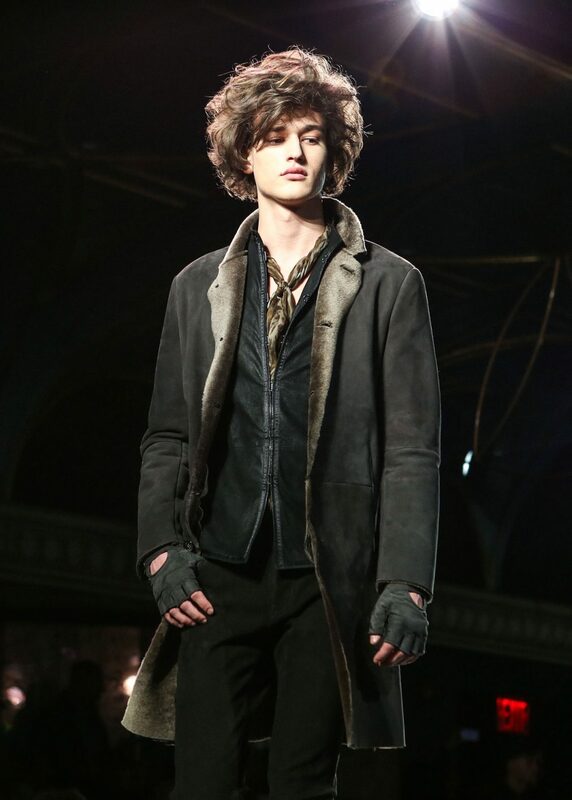 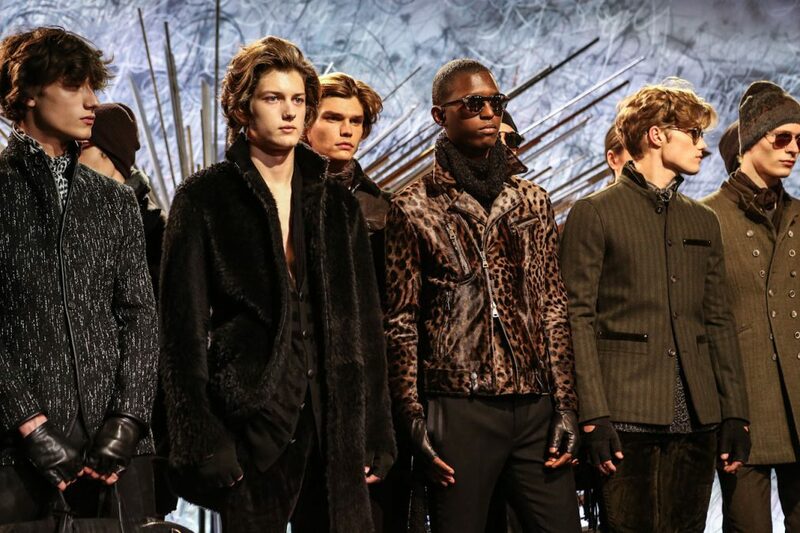 Statement outerwear has been a theme of the season, and it was no different for Varvatos, with lynx prints, sparkling cracked leather, and glistening velvet. 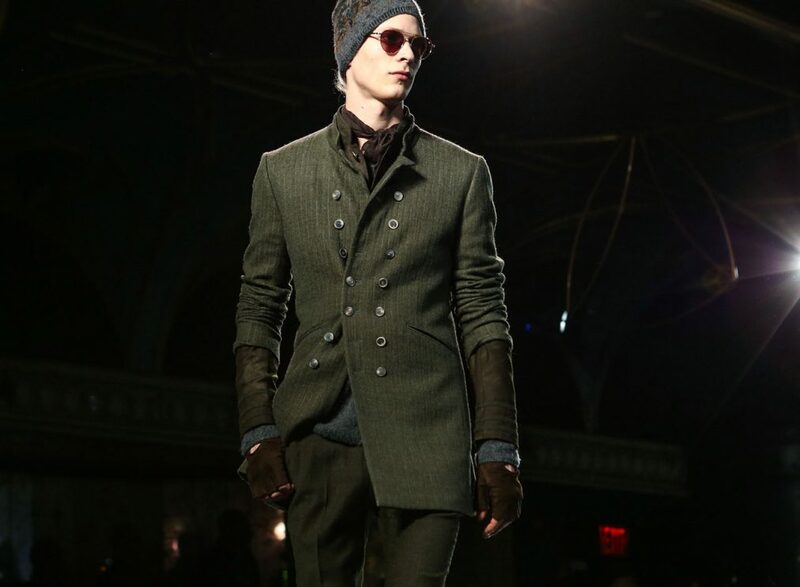 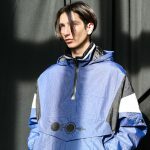 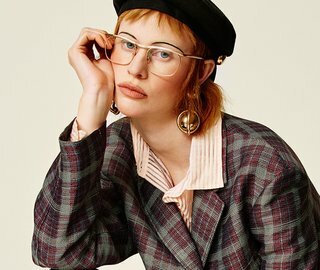 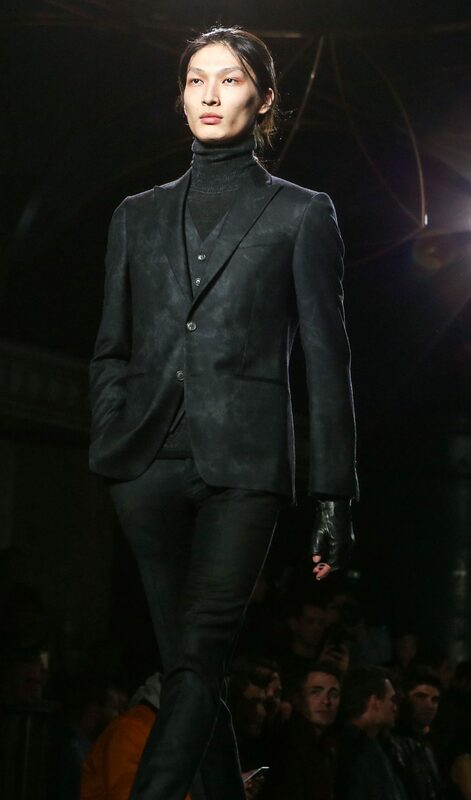 The collection notes touched on a hint of dandyism, which could be seen in the little details—the glinting buttons on the double-breasted coats, the fingerless leather gloves, the artful layering. 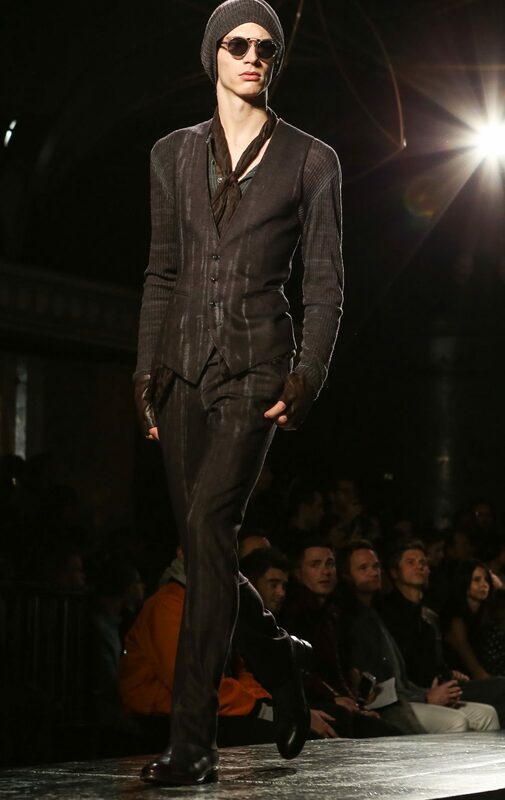 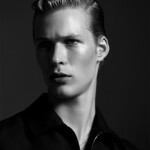 The look was grown-up, confident, and powerful, and the careful dishevelment was just the right final touch.